Have you ever considered taking an MBA degree? Our guest post this month comes from Adam Maidment, who introduces the benefits of gaining an MBA qualification. Follow the link at the bottom of the page to find out what type of MBA is right for you. In order to remain attractive in today’s competitive business industry, it’s important to find an edge over your fellow candidates. One of the best ways to make yourself stand out is to have a postgraduate qualification to your name – such as an MBA. A Masters of Business Administration (MBA) is a degree designed to equip students with in-depth knowledge of business and management, and is typically studied by those looking to develop an already-existent career. Having a MBA to your name may be just what you need to get the career you want, but it’s not an easy task and will require a lot of hard work and determination. If you’re considering studying for an MBA, here’s food for thought – a list of five ways in which an MBA course will help to improve your employability. Whichever path you choose to follow, the skills you inherit during your MBA studies will be relevant throughout the rest of your career. MBA courses develop student’s ability to recognise excellence, appreciate customer value and human performance, and enhance their understanding of business strategy and implementation. If you haven’t yet decided where to take your career, you can focus on the generalised phase first and then select your own modules during the second phase – giving you time to recognise what particular skills you want to learn and develop. Modules include business psychology, emerging technologies, supply chain planning or leading change and sustainability – whatever path you choose to follow, you will be able to tailor the course to bolster your arsenal with the exact skills you’ll need. An MBA will show that you take your career seriously. Showcasing your determination and passion to progress your career, employers will see you as a serious candidate when it comes to job offers and promotions. A recent study by the Association of MBAs (AMBA) found that only 12.8 per cent of students started their MBA course in a senior management position. In the months following graduation, a third of all students were working in senior management roles. In some cases, an employer may choose to help fund an employee’s MBA studies with the hope of promoting them after graduation. With the additional knowledge and business understanding that comes with an MBA graduate, both employee and employer can reap the benefits. As your understanding and expertise develop, you will also open yourself up to the likelihood of a better salary. According to Fortune, the expected median starting salary for recent MBA graduates in America in 2015 was around $100,000 (around £80,000). An MBA will help to increase your existing bank of knowledge. Students will learn how to apply creative thinking to their work, and learn new processes that will help them down the line. Throughout the duration of the course, students will be extensively taught about how business works on a global landscape. By undertaking subjects such as accounting, leadership and management, students will be held in good stead when progressing throughout their chosen career. Those that already have a specific career path in mind may find that a specialised course is more suited to their needs and what they want to get out of their studies. On a specialist course, as well covering the essential parts of the general MBA, students will also be provided with a stronger focus on the sector they have chosen for a career. For example, a Financial Services MBA will include modules which focus on risk, regulation and failure avoidance as well as financial analysis management – essential subjects for a career in finance. With an MBA, you will be able to open doors to opportunities you may have previously been unable to. Throughout your course, you’ll be taught by professionals with heaps of experience and a number of different guest speakers who’ll offer the expertise and insight they’ve learnt during their careers. You will also be studying alongside like-minded individuals in the same position as you. As an MBA is designed for people who already have some experience in business, it’s very possible that your fellow students will have connections that can prove valuable throughout your own career. Most MBA programs will also involve an international study tour which will allow you to understand how business operates in another country. This experience will also enable you to build relationships with others from around the world. An MBA is a qualification that is recognised throughout the world. There are currently 237 AMBA-accredited MBA courses and similar programs in over 49 countries. The majority of MBA courses (50 per cent) are based in Europe, whilst 33 per cent are in Latin America and Asia. Wherever it is that you decide to work, you can take comfort from knowing that your credentials are valued and recognised. If you’re looking to develop a career where you need an insightful understanding of how business works, an MBA may be for you. By crafting your course to your specific requirements, and by building solid business relationships, you’ll realise how effectively an MBA can improve your employability. The Graduate Management Council (GMAC) found that 92 per cent of 2012 business school graduates worldwide had found employment within the three months of graduation. This not only shows the value that comes with an MBA, but also how it can have a positive effect on your career. 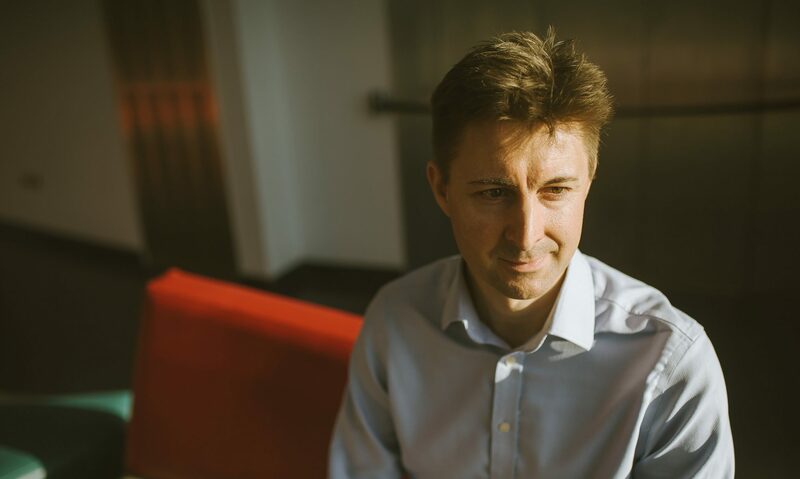 Adam Maidment is a writer for Manchester Metropolitan University, an institution that offers an MBA course with three specialisms; Financial Services, Digital Management, and Strategic Health and Social Care. If you want to learn further about how to choose the MBA course for you, take a look at their short quiz. Glad to read this article ! All the five points that you discuss here are remarkable as far as improvement of employability is concern. For me connecting with right people is more crucial because if you have good people on board they can really make a big difference in your team.